Window Garden Large Bottoms Up Planter Kit - Create a Lush Indoor Garden. 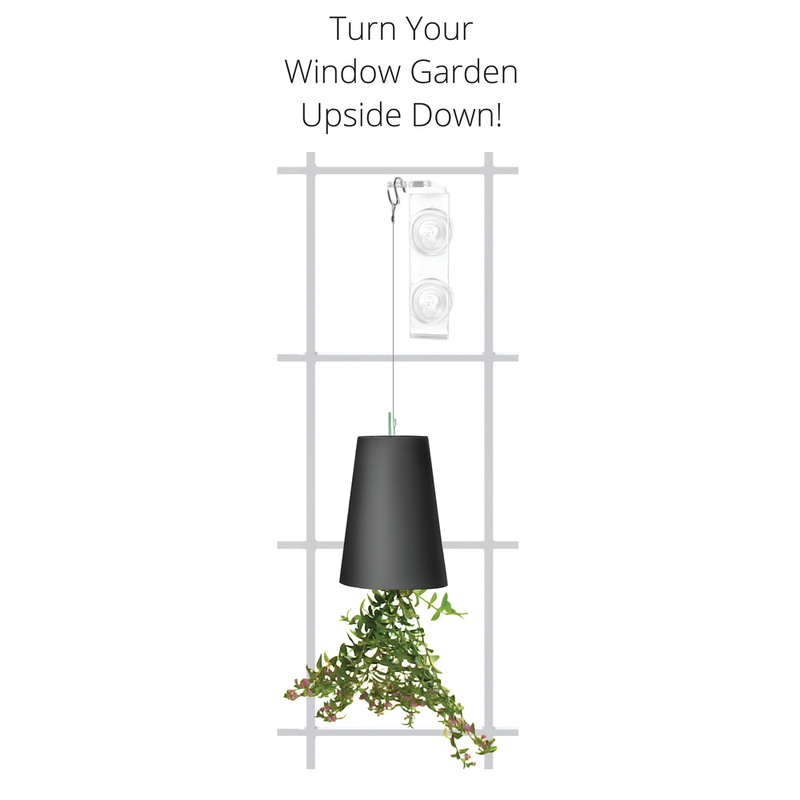 The Large Self-Watering Planter Suspends on Your Window Using the Large Veg Dangler. Perfect for Garden Gifts. UNIQUE - Your Plant Grows Interestingly in the Large Upside Down Planter and Stays Securely in Place with a Cut to Fit Mesh and Locking Lid. IT'S EASY! - Because It's Self-Watering. Water Slowly Drips out of a Ceramic Reservoir into the Soil and the Handy Fill Gauge Lets you Know When to Add More. Now, Anyone Can Grow an Indoor Garden. 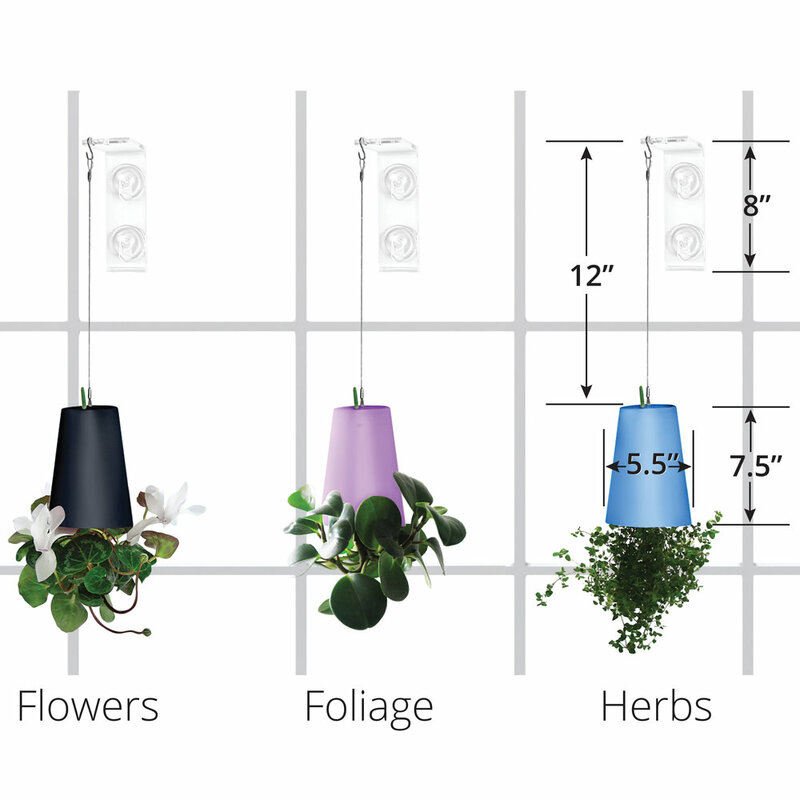 GROW VIBRANT PLANTS - With the Large Veg Dangler. Your Plants Will Thrive Suspended on Your Window Absorbing Maximum Life Giving Sunshine. It's Sleek, Sturdy and Reliable, The Patent Pending Design and Powerful Suction Cups Securely Hold Up to 10 Lbs. GREAT GARDEN GIFTS - Unique, Attractive and Highly Functional, Sure to Wow. 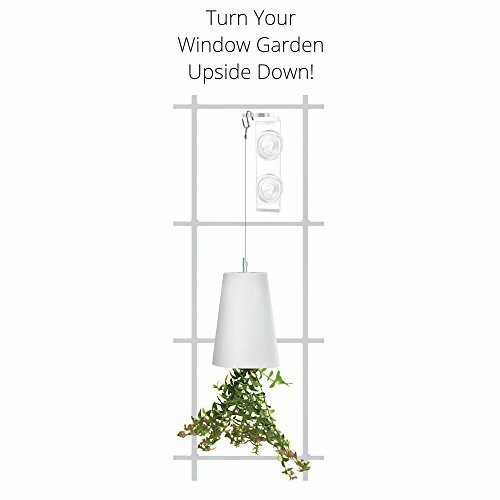 Get 10% off When you Purchase 2 or More Window Garden Products. **Limited Time Special** See Promotional Offers Below.